Sophisticated. Smart. Striking. The Tribeca Collection 24-inch wall mounted vanity features good looks and saves space whether you live in a condo or a castle. 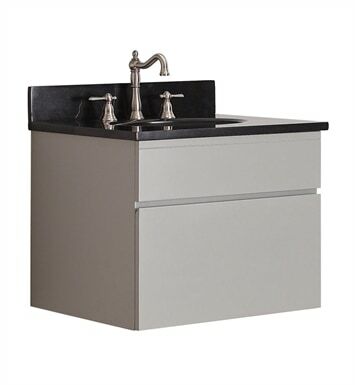 The Chilled Gray finish and soft-close drawers bring a touch of urban chic to your bathroom. The coordinating mirror and linen tower will complete the bathroom of your dreams. Top not included.